Oprah’s magazine, O, featured this brand called Farmhouse Fresh and I have finally gotten my hands on some of the products to see if they are as good as they seem, and oh my goodness, they are great! The packaging for everything is beyond luxurious – we’re talking glass bottles and jars, and hefty helpings of all the food-like goodies. My favourite? 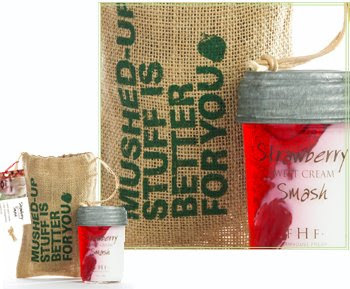 The Strawberry Smash which is a body cream/gel that smells as amazing as it looks. The Honey Heel Glaze is also excellent and takes the whitish ash off your feet keeping them looking as if they had just been pedicured. 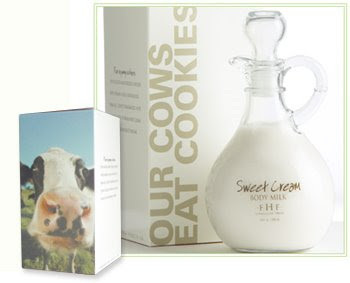 You can get the products from the Farmhouse Fresh website. Enjoy! ← Shu Uemera at Holt Renfrew!